In soccer this week, tickets for the Women’s World Cup Quarterfinals are featured as the top priced soccer tickets on the secondary market. The United States Women’s soccer team take on China on the second of two matches On June 26. Three MLS games are also in this week’s lineup as the top soccer matches. 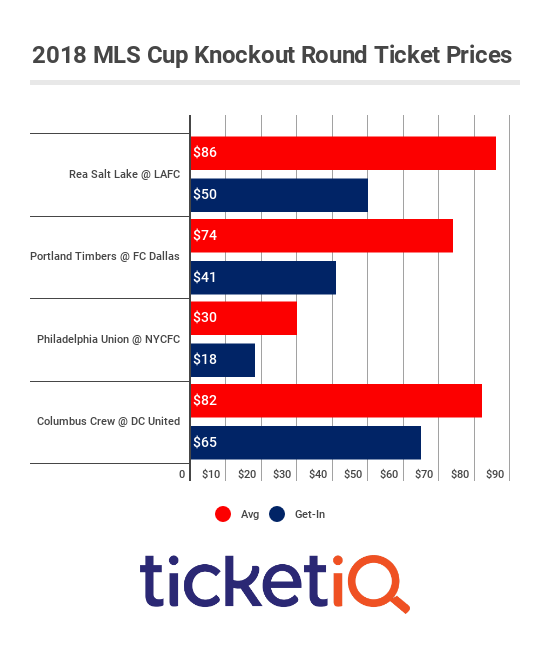 Here’s a breakdown of each top soccer ticket on the secondary market, according to TicketIQ. The Quarterfinals of the Women’s World Cup start on Friday and match 45 will be the second of two matches. The match will feature the United States taking on China at TD Place Stadium, representing this week’s top priced soccer ticket. USA vs China tickets are going for an average price of $317.80 on the secondary market, with a get-in price of $159. The Portland Timbers continue their 2015 campaign this Sunday when they host the Western Conference leading Seattle Sounders at Providence Park. Timbers vs Sounders tickets for Sunday’s match are going for a secondary market average price of $154.68, with the cheapest seat priced at $120. Host country Canada will be a participant in the Women’s World Cup quarterfinals when they take on England on Saturday night. The match at BC Place Stadium, home of the World Cup Final, currently has an average price of $152.86 with a get-in price of $60. FC Dallas is currently struggling and have not won a match in over a month as the team looks to end their winless drought when they take on the struggling Houston Dynamo at Toyota Stadium this Friday. FC Dallas tickets for this match against the Dynamo have a secondary average price of $141.27, with a get-in price of $49. Two New York area soccer teams will go head-to-head this Sunday when NYCFC hosts the New York Red Bulls at Yankee Stadium. Both clubs are currently struggling with just four wins each so far this season. NYCFC tickets for this match have an average price of $96.84 on the secondary market, with the cheapest seat listed at $32.